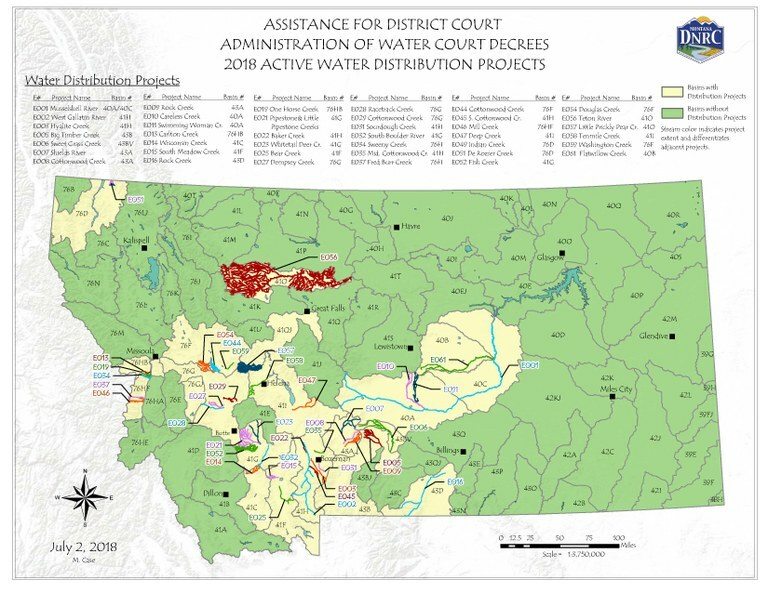 To date the DNRC has prepared 56 water distribution projects at the request of the Montana Water Court. The number of projects administered by the District Courts varies from year to year, therefore all 56 projects are not under enforcement every year. 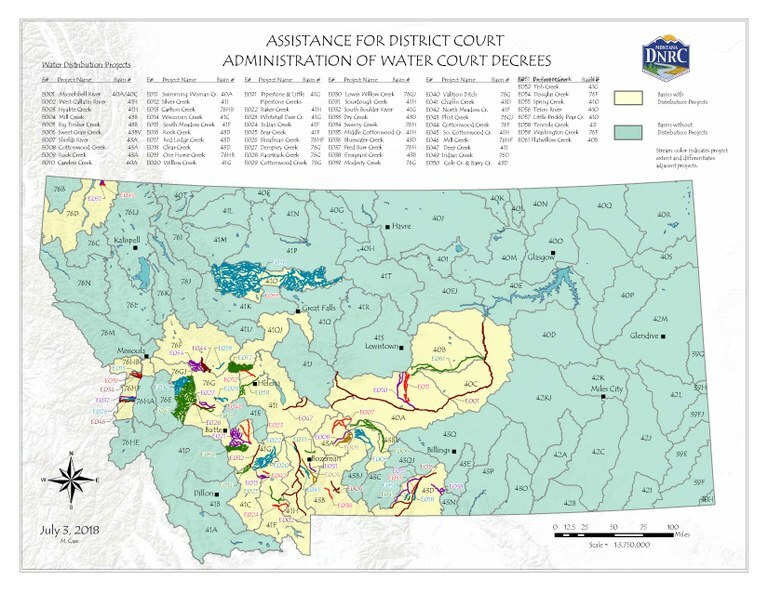 The DNRC and the Water Court maintain and update all enforcement projects every year. Within the distribution areas, approximately 14,449 points of diversion have been assigned enforcement numbers. All types of active surface water rights are included in these projects which total 8,931. These include water rights from both the New Appropriations Program (post 1973 rights) and the Adjudication Program (pre-1973 rights).